Try, try again. Over the last few years, Cupertino has tried repeatedly to tempt content owners into licensing their shows for an Apple-branded IPTV (internet protocol television) service. Despite having failed again and again, a new report claims that our favorite fruit company is now trying to talk cable operators into sharing the wealth. Apple doesn’t appear to have reached a deal with any cable operators. One obstacle may be the reluctance of operators to let Apple establish a foothold in the television business. And, that is another way of saying Apple has yet to fail — there are a half dozen major cable operators and scores of smaller players with Time Warner and Comcast being the largest. That said, no single operator can truly claim to be a national operator. The Journal’s write up says the existing Apple TV is the focus of the talks rather than a full blown Apple television. However, the tech Cupertino’s selling this time around could be integrated into an HDTV, which is an interesting wrinkle. What’s your take? 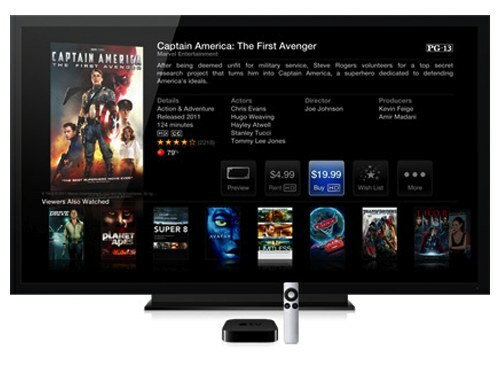 If you had access to cable via Apple TV would you use it?